Join us at Rio Salado Tempe for the next brown bag on Wednesday, April 5 from 11:30 a.m. – 12:30 p.m. in the Conference Center. The topic is "Obesity" and is presented by Shaweta Vasudeva, Adjunct Faculty of Psychology at Rio Salado College. 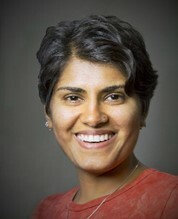 Vasudeva has presented at several conferences on the topic and is sought out for her excellent scholarship in the field.